In this year's record summer, everybody wishes to have a cooled home or office. But air conditioning systems consume a lot of energy and are far from being environmentally compatible. Researchers of the GeoSpeicher.bw project coordinated by Karlsruhe Institute of Technology (KIT) are studying alternatives with a reduced energy consumption. These include storage and later retrieval of heat and cold in underground water-bearing layers, so-called aquifers. In a new project, they evaluated the efficiency of one of the largest aquifer-based geothermal facilities in Europe and the only one of this kind in Germany. 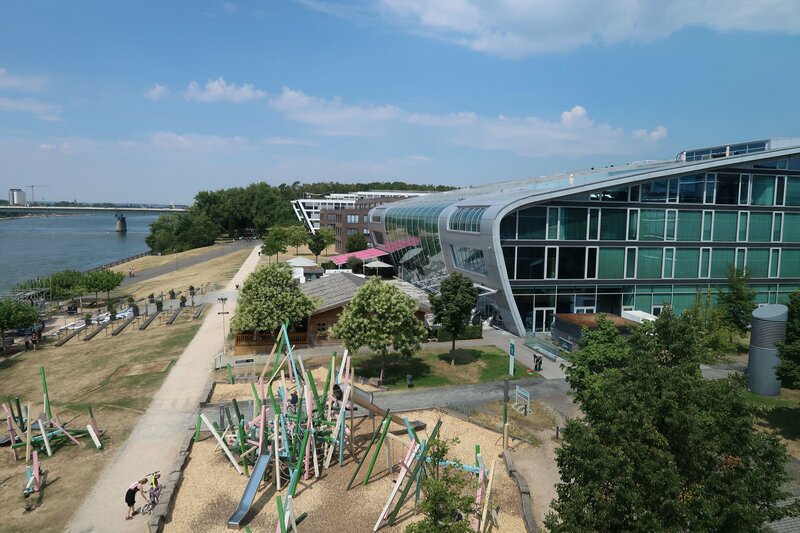 Since 2009, an underground aquifer storage system has supplied the Kameha Grand hotel and two office complexes in a newly developed district of Bonn with cold in the summer and heat in the winter. "The system supplies up to 80 percent of the heat and cold of the buildings of about 60,000 m2 in area," says Steffen Große from EcoVisio GmbH, the responsible utility company. As compared to conventional energy supply, energy consumption of this geothermal facility is lower by about 1700 MWh every year. CO2 emissions are reduced by 400 tons annually. "We are very lucky to have this facility in Bonn," says Professor Philipp Blum of KIT's Institute of Applied Geosciences (AGW). "We have access to data covering a period of nearly ten years and, hence, can study various aspects ranging from energy efficiency to building technology." Steffen Große and his colleagues hope that scientific data analysis will result in an optimization of the system. "Due to the changing climate, we partly have to start cooling the buildings in March already," he reports. "Within the GeoSpeicher.bw project, we cooperate with geologists and experts for energy and building technologies to derive the best possible operation mode under the changed boundary conditions in the future."